CropLife America praises the passing of a long-term Pesticide Registration Improvement Act (PRIA 4) reauthorization that will strengthen and improve pesticide registration through 2023. More Details. Commodity Classic is a trade show where exhibitors showcase the latest technology to thousands of farmers. The author’s parameter for making his “New and Groovy” list for 2019 is simple: What are new solutions that can help farmers get more economic return on their investment? The following is not all-inclusive, but here are some products that may be of some help in 2019 and beyond. The Purdue University/CME Group Ag Economy Barometer rebounded sharply in January to a reading of 143, a 16-point improvement compared to December and the highest reading since June 2018. Read Report. Successful Farming offers 10 predictions for farmers for 2019, stating it could be another rough year, or it could be the needed turnaround. Watch the video. Or read the article with more details. Farmers and ranchers take home just 11.3 cents from every dollar that consumers spend on their Holiday dinner meals, according to the annual Thanksgiving edition of the National Farmers Union (NFU) Farmer’s Share publication. The popular Thanksgiving Farmer’s Share compares the retail food price of traditional holiday dinner items to the amount the farmer receives for each item they grow or raise. Download the Farmers’ Share Fact Sheet. The Purdue University Center for Food and Agricultural Business has announced its seminars and events for 2019. The Center offers experts who teach business concepts in the classroom or via a video education series. Find out more. Net cash farm income and net farm income are two conventional measures of farm sector profitability and the forecasted declines are largely due to higher production expenses, which if realized, would reduce net income. However, the 2018 forecast does not include payments under the Market Facilitation Program (MFP), because it is too early to tell how many farm producers will complete MFP enrollment and receive payment in 2018. Read more. For most farmers, 2018 is looking a lot like the four previous years — low prices for their crops, dairy and beef — but with a twist: They got caught up this year in a trade war. Prices for commodities, particularly soybeans, have dropped throughout the summer after China imposed 25 percent tariffs on the crop in retaliation. Until the trade war, China was the top buyer of American soybeans, spending some $13 billion on nearly 60 percent of the crop each year. The tariffs are just one part of a “perfect storm” facing farmers this year, Zippy Duvall, president of the American Farm Bureau Federation, told a crowd of about 200 gathered Tuesday night for the annual dinner of the Woodruff County Farm Bureau. Read more. The U.S. Department of Agriculture has authorized up to $12 billion in a “Trade Retaliation Mitigation” (farm tariff) aid package for 2018 to help offset the financial impacts resulting from ongoing trade disputes with China, Mexico, Canada and other countries. The aid package will include direct payments to producers of affected farm commodities, purchases of surplus commodities for food and feeding programs, and trade promotion programs. The financial aid package will be administered in a manner that is consistent with World Trade Organization requirements and will include three components. The Ag Economy Barometer rebounded in August to a reading of 129 after falling to 117 in July. Although the producer sentiment index increased by 12 points in August, producer sentiment remains well below its late spring readings of 141 in May and 143 in June. The shift in producer sentiment occurred primarily because producer’s perception of current conditions improved as the Index of Current Conditions increased to a reading of 121 following a dip to 99 in July. The Index of Future Expectations also rose in August but the increase was modest, rising to 132 just 6 points above its July reading. See full report. Join the Purdue University Center for Commercial Agriculture on Wednesday, December 19 at 9:00 a.m. (EDT) for a free 2019 Ag Outlook with agricultural economists James Mintert and Michael Langemeier. Previous free webinars are also available via this link. 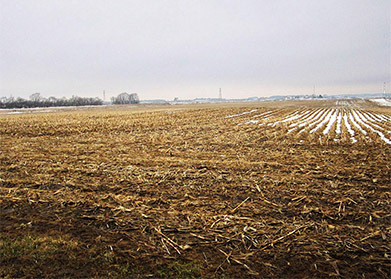 Since 2014, non-land costs of producing corn on high-productivity farmland in central Illinois declined from $617 per acre in 2014 to $569 per acre in 2017, a decrease of $48 per acre. Three costs – fertilizer, drying, fuel and oil – contributed more than the $48 per acre to the total non-land cost decrease, meaning that other costs increased from 2014 to 2017. Levels of fertilizer, drying, and fuel costs are highly related to energy prices. Energy prices have been rising in recent months. Rising energy prices could signal the end to declines in non-land production costs for corn. Read more. The relationship between the borrower and lender has always been known to be an integral factor in the agricultural / agribusiness loan approval process. However, the recent development of technologies that enable lenders to gather data on a loan applicant via an online application has led the distance between lenders and loan applicants to grow significantly. Read more. Falsely representing products as certified USDA organic violates the law and federal organic regulations. Fraudulent certificates may have been created and used without the knowledge of the operator or the certifying agent named in a certificate. The NOP has compiled a list of information about fraudulent certificates that have been publicly announced into an easy-to-search spreadsheet. The complete story provides access to the Fraudulent Certificate spreadsheet. The USDA released the first projections for U.S. corn and soybean supply and demand in the 2018-19 marketing year on May 10. Forecasts for both crops indicate lower ending stocks next marketing year with a substantial decrease in corn ending stocks. Read more. Whether involved in agriculture or not, here are a few precautions to assure that your data is safe if your phone ever goes missing or gets stolen. First of all, always have a lock on your phone and make sure your app downloads are password protected. You should also regularly back-up your phone so you don’t lose any precious photos, contacts, or files. But if your phone does get stolen, here are five things you can do to prevent any further problems or potentially get it back. Read more. Glitz-and-glitter agricultural technology can mask the basics for making optimal chemical applications that don’t stray into neighboring crop fields, orchards, or rural homes. Now is an excellent time to prep sprayers and form a spray-application strategy for 2018. Click to find 19 tips from product development at Precision Laboratories, that will help make this year a good spraying season. Special Assistant to the White House for agriculture, agricultural trade, and food assistance, Ray Starling, took the stage at the Ag and Food Policy Summit March 21 in Washington, D.C. He summarized the perspective of the White House on trade, the Farm Bill and renewable fuels. Read more. U.S. farm sector capital expenditures continue to adjust to declines in net farm income and net cash income since 2013. Real net farm income has declined approximately 51 percent since its most recent peak in 2013, while real net cash income has declined approximately 29 percent since its most recent peak in 2012. Similar to past periods of declining margins, U.S. farms have responded to the declines in income by reducing capital expenditures. This article examines trends in capital expenditures and compares capital expenditures to capital consumption. The ABA and Farmer Mac Agricultural Lender Survey, which is conducted twice per year, is a joint effort to provide a look at the agricultural economy and market forces from the unique perspective of ag lenders. The first joint survey was conducted in December 2016 and expanded upon data collected by Farmer Mac in prior surveys. Read the latest report released in November. Farmer’s Business Network, Inc., analyzed more than 7,500 seed labels, 2,550 unique genetic varieties from 110 seed companies, and 10,000 seed price invoices, and released the industry’s first-ever seed relabeling analysis. Comprising at least a $2.5 billion segment of the US corn and soybean market, Farmers Business Network analysts set out to study the impact of relabeling on American farms and to add transparency to farmers’ arguably most important purchasing decision. Read more. With serious economic challenges facing agriculture, underscored by even deeper concerns in some commodity sectors, the American Farm Bureau Federation board of directors outlined the organization’s key objectives for the 2018 farm bill. After its meeting in Washington, D.C., the AFBF board sent its goals and recommendations to leadership on the Senate and House agriculture committees in anticipation of the upcoming farm bill debate. See list. Putting a price on farm data. On a farm, land, seed, water, crop inputs, farm machinery and other such items have a price that is easy to quantify. But the data generated by working the land with those items has not fixed price. So there is high demand for access to that information. Read more. The Purdue Food and Agribusiness Quarterly Review is now available. The six articles in this issue were written by faculty in Purdue University’s Center for Food and Agricultural Business, as well as faculty from the University of Sao Paulo. These authors have sought out leading business research, strategy and insights and tailored them to food and agricultural business. For example, in the “Is Cash King?” article, the author states: “In the economic downturn of the agriculture industry, it might be surprising to learn that it could be time to start spending that cash hoard. This is true for at least three reasons…” Read Issue. Soybean acres are predicted to increase 5.5% in 2017, according to the latest data from USDA. At the agency’s 93rd Agricultural Outlook Forum, which is taking place Feb. 23-24 in Washington DC, Robert Johansson, USDA Chief Economist, shared an outlook for prices, acres, farmer sentiment and more. The outlook for prices is slightly higher. See the USDA’s price expectations for the crop year ahead. Producer sentiment inched higher during April as the Ag Economy Barometer increased to 130. The latest result for the Purdue/CME Group Ag Economy Barometer, which is based on a monthly survey of 400 U.S. agricultural producers, was slightly higher than March’s 124 reading. One of the most promising areas for UAVs is agriculture, where drones offer the potential for addressing several major challenges. With the world’s population projected to reach 9 billion people by 2050, experts expect agricultural consumption to increase by nearly 70 percent over the same time period. Agricultural producers must embrace revolutionary strategies for producing food, increasing productivity, and making sustainability a priority. Drones are part of the solution, along with closer collaboration between governments, technology leaders, and industry. See more. The Farmer Veteran Fellowship Fund assists veterans with advancing their careers in agriculture by giving them access to funding, resources and support services. The Homegrown by Heroes label is proudly displayed on products grown, raised and produced by hardworking farmer veterans who have chosen to serve their nation twice – once by defending it and again by feeding it. Find out more about Homegrown by Heroes. According to the Washington Post, the bees with which most Americans are familiar – the ones which pollinate crops on the mainland and make honey – are doing just fine. Data released by the USDA this year indicates there were 2.66 million commercial honey-producing bee colonies in the U.S. That’s down slightly from the 2.74 million colonies in 2014, but is still significantly higher than it was in 2006, when colony collapse disorder was first documented. Read more. New York Times: There is much to like about small, local farms and their influence on what we eat. But if we are to sustainably deal with problems presented by population growth and climate change, we need to look to the farmers who grow a majority of the country’s food and fiber. Read article. Farmers who employ Internet-connected and precision farming equipment should be very mindful of the way they configure their devices, the FBI warned in a public statement advisory at the end of March. The Bureau, together with the US Department of Agriculture (USDA), issued the note as an alert to the growing security threat. The FBI is particularly warning against data breaches that may expose farming data saved with various companies or on cloud accounts. Read more. Agriculture Data: Putting Farmers in the Driver’s Seat – Farmers collect valuable data every time their equipment passes through fields and that information will fuel tomorrow’s innovation. But currently the potential of this resource is not being fully realized. The Agricultural Data Coalition, or ADC, is dedicated to helping farmers get the most out of their newest asset. Our mission is focused on designing, creating and managing a central repository where farmers can store their information and oversee how it is accessed. Data farming will be key to agriculture’s future, and farmers should be in control. Visit the website for more details. 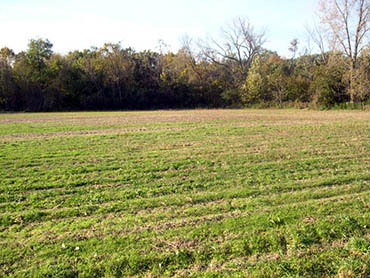 CAPS’ Executive Manager Tim Harris gave a presentation on farmland leases to land owners. The talk has been broken into three video clips, Land Lease Basics, Negotiation Tips and Rental Rates. The clips can be viewed on the CAPS YouTube Channel.